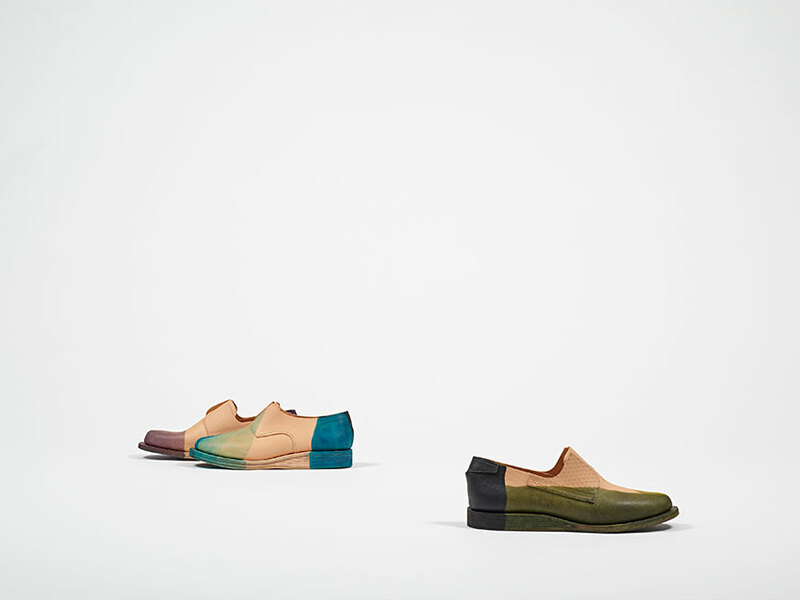 Parisian shoe designer Joachim Callataÿ is a purist, whose concentrated focus on simple, clean lines and raw leather forms continue to evolve within the men’s and women’s handmade shoes of his collection Ets. Callataÿ. Producing every piece by hand in his atelier outside of Paris, Joachim follows the design process from A to z, from initial sketches to patterns, prototypes and manufacturing, with some styles taking twenty five hours of craft to complete. His designs utilise both dyed and natural leather uppers and full leather soles, with the elegant touch of unusual mechanisms, metallic insertions or dipped colour panelling. 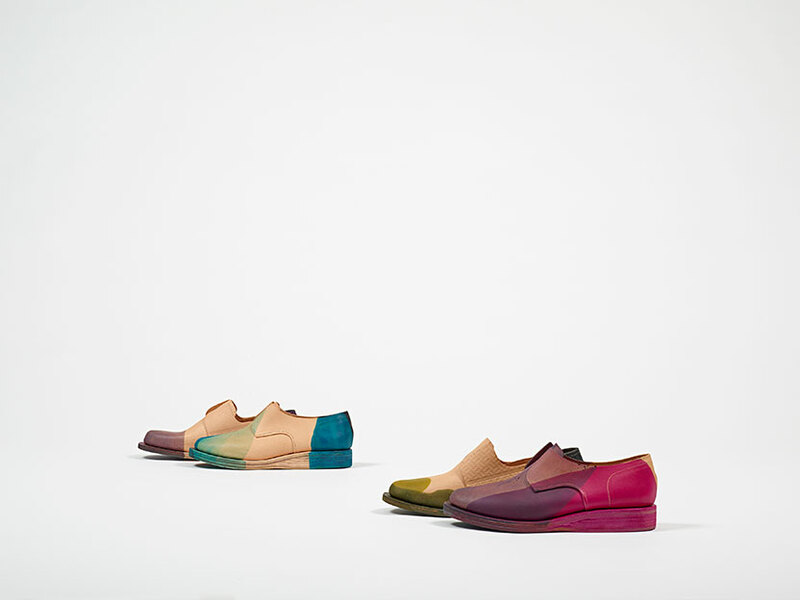 Callataÿ’s designs are available in a selection of exclusive boutiques worldwide, and has seduced some of the major Parisian houses – leading to consulting projects and collaborations with the likes of A.P.C., Maison Martin Margiela and Lanvin. 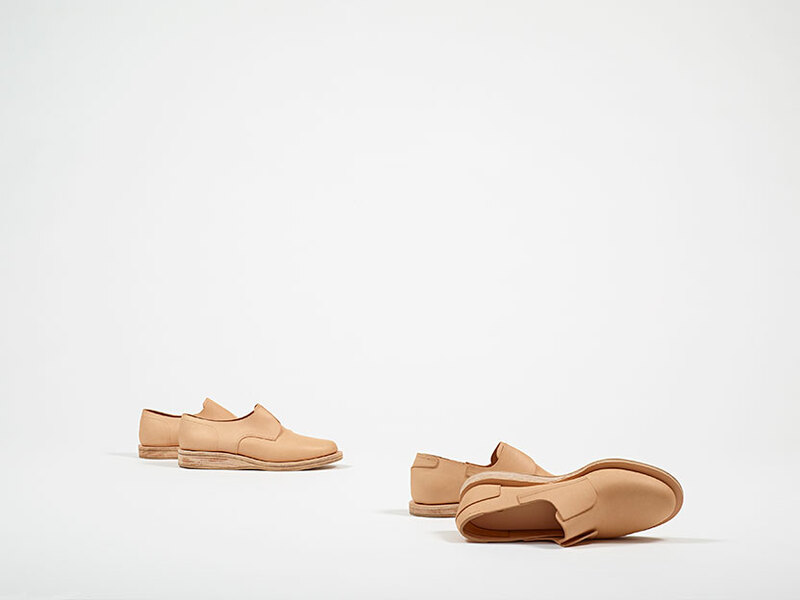 Experimenting with sculptural cutouts and textures, Callataÿ has created a unique, layered derby design with a natural leather sole. 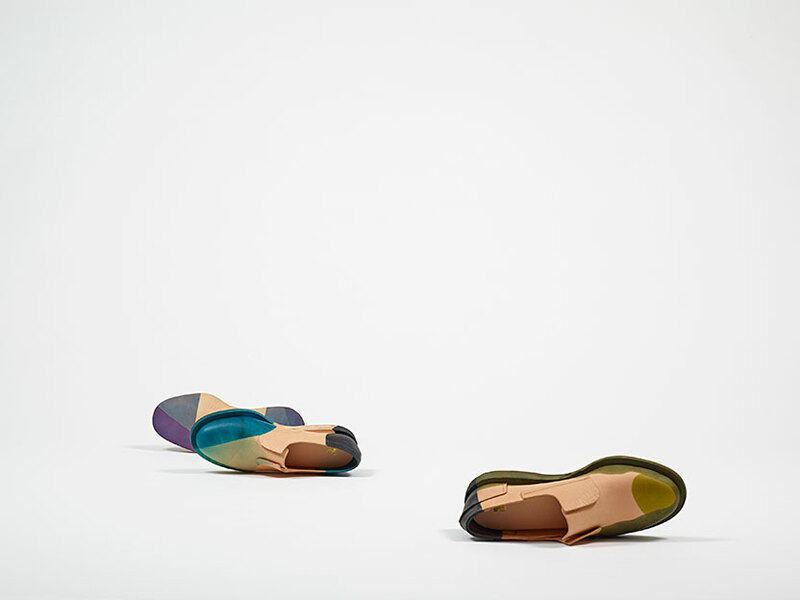 Cut across the upper to reveal a slice of skin, they feature the contrast of a bright gold inlay and honeycomb-stamped heel patch – creating a collage effect of matte, skin and shine in an intricate design only made possible by handcrafting techniques.